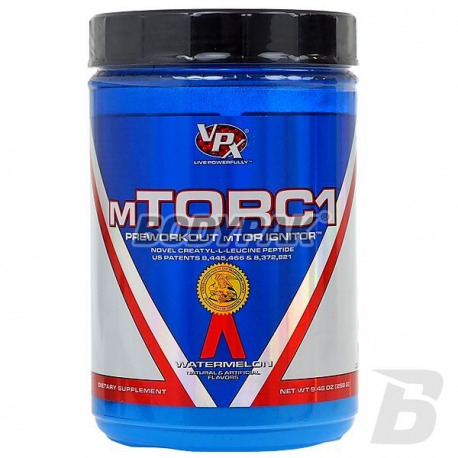 VPX mTORC1 is a new innovative formula preworkout, which helps build muscle. MTORC1 has patented a new discovery known as Creatyl-L-leucine, also known as peptide "mTORC1". 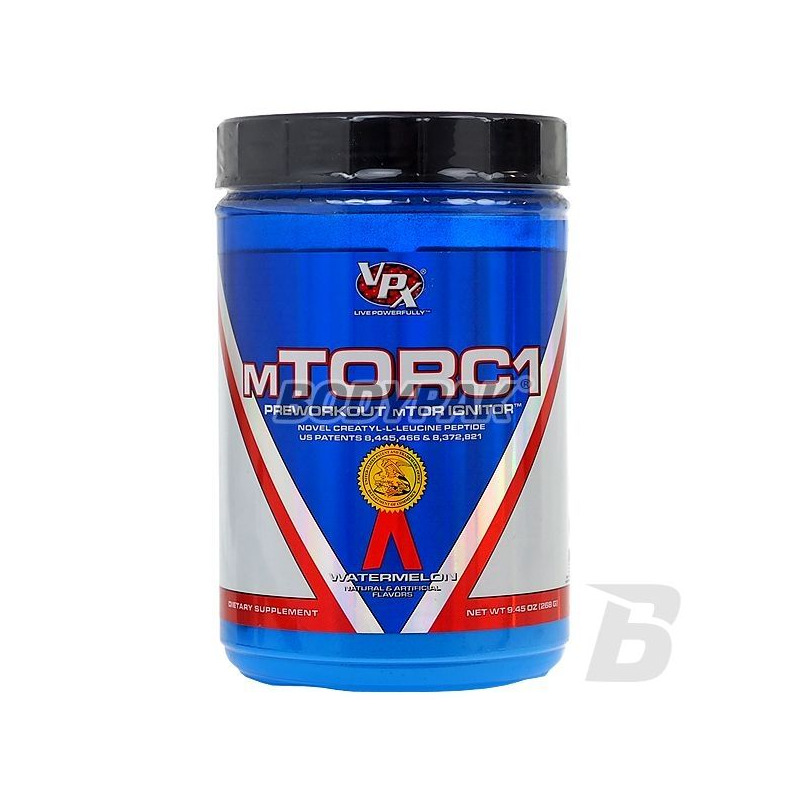 VPX mTORC1 is a new innovative formula preworkout, which helps build muscle. MTORC1 has patented a new discovery known as Creatyl-L-leucine, also known as peptide "mTORC1". BCAA contained in the mTORC1 provide us with anti-catabolic during training, and increase symtezę protein. Alpha-Hydroxy-Acid Isocaproic in short HICA prevents muscle tissue breakdown. HICA supplementation increases muscle building, as well as to prevent muscle soreness after an intense workout. Anhydrous Caffeine is rapidly trapped by the gastrointestinal tract and the bloodstream quickly with the system tries to nerwowego.Następnie penetrates the blood / brain barrier, and use of its analogy in the structure to adenosine are bonded to the specific receptors on neuronal membranes by blocking them permanently. Since adenosine transfers in the brain signal the body's fatigue, caffeine blocks this transfer and eliminates the first symptoms. With supplementation pure anhydrous caffeine before a workout you can increase their motivation and long dismiss the feeling of physical and mental exhaustion, impeding its continuation.